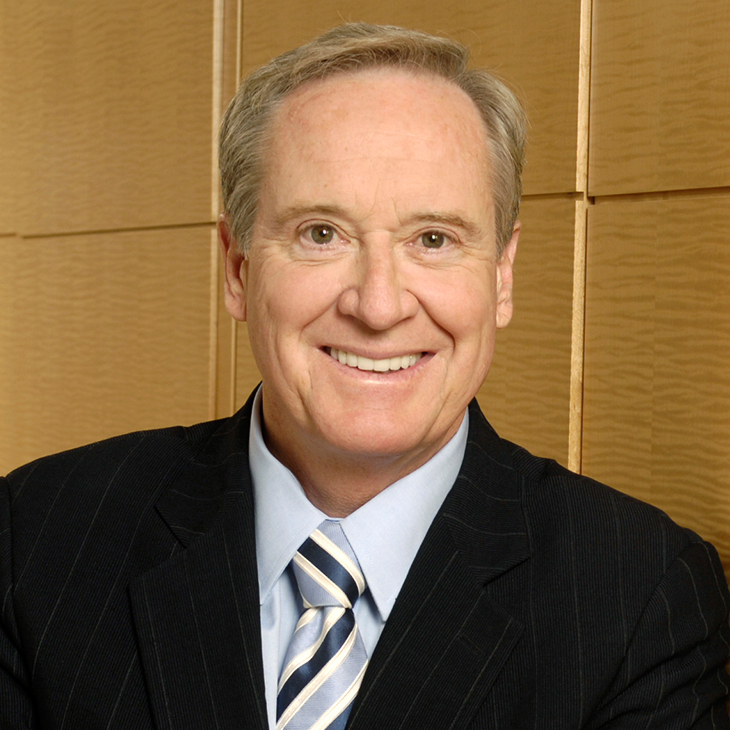 George Kieffer leads the law firm’s government and regulatory practice. Best Lawyers in America has named him 2019 Los Angeles “Lawyer of the Year” in the practice area of Administrative/Regulatory Law. He represents companies before Los Angeles city and county and California state government entities in a wide variety of matters, including government contracts, procurement, transactions and policy issues. He has appeared as counsel before LA Metro, the County Board of Supervisors, and a variety of city and county agencies and departments. He has served as lawyer and advisor to both CEOs and general counsels, as well as public officials, and he oversees both litigation and business transactional matters. The Daily Journal named George one of the Top 100 lawyers in California in 2010. He was named one of the 500 most influential people in Los Angeles by the Los Angeles Business Journal for 2016, 2017 and 2018. George successfully chaired the appointed commission charged with rewriting the charter of the city of Los Angeles. Today, he regularly advises policymakers as well as clients on the application of the charter and related policy issues. George currently serves as chair of the Board of Regents of the University of California. He also chairs the Los Angeles Civic Alliance and is a former chair of the Los Angeles Area Chamber of Commerce. He is the cofounder of FuturePorts, a coalition of business and civic interests supporting the ports of Los Angeles and Long Beach. Among other honors, George received the Anti-Defamation League’s Jurisprudence Award in 2013; the Public Service Award from the Pat Brown Institute at California State University, Los Angeles; the Spirit of Excellence Award from the Los Angeles Biomedical Research Institute; the Social Responsibility Award from the Los Angeles Urban League; and the Crystal Eagle Award for Public Service from Coro Southern California in 2012. Representation of a Fortune 500 company in a competitive procurement contract with the city of Los Angeles worth nearly $1 billion in revenue to the city. Representation included strategy and preparation of proposal; appearances before the appropriate commission; successful defense of a formal protest by a competitor; preparation of materials for the city administrative officer, chief legislative analyst and city council; representation before council committees and the city council; and award to client. Retained by a major construction management firm to successfully settle a contract dispute with Los Angeles World Airports in a matter worth $1.3 billion, avoiding multiple claims and protracted litigation. Representation in connection with a $100 million contract with the city of Los Angeles to provide the technology for the Bureau of Sanitation’s waste treatment facility, including a successful defense of a protest by the then-current incumbent following 11 hours of hearings as well as appearances before council committees and the city council. Subsequent representation regarding resolutions of claims related to the project. Representation of a national railway company in connection with the development of a proposed $500 million intermodal facility to be built on land owned by the Port of Los Angeles. Representation and successful negotiation of a sale of a waste transfer facility to the city of Los Angeles. Successful representation of a contractor under a responsibility investigation at Los Angeles World Airports resulting in termination of the investigation. Representation of a competitive energy provider in assessing the likelihood that a city procurement process of the Los Angeles Bureau of Sanitation and resulting award to client would survive a protest. After the client was advised to go forward, a protest was filed by the competitor’s law firm. Representation included responses to the protest and a hearing before the Board of Public Works. Following the presentations, the protest was denied and the staff recommendation was affirmed by a 5-0 board vote. City council approval followed. Subsequent representation regarding outstanding claims related to the project. Representation of a large solar project in Kern County in responding to requests for proposal (RFPs) issued by PG&E and San Diego Gas & Electric seeking bids for renewable energy projects under the California Renewables Portfolio Standard Program. Representation of various energy companies in matters involving the city of Los Angeles Department of Water and Power and Southern California Public Power Authority. Representation of a major telecommunications company in facilitating deployment of its broadband system in the city of Los Angeles, including work with the Board of Public Works and the Department of Water and Power. Representation of a major airport service provider at LAX in a labor dispute with the Service Employees International Union, including SEIU complaints that the company was violating the city of Los Angeles Living Wage Ordinance and other work rules. After successfully handling the administrative complaint, was retained to lead negotiations with the union. Representation of a major automobile manufacturer in regulatory matters before the California Air Resources Board. Representation of foreign air carriers regarding resolution of issues at Los Angeles World Airports. Representation of the Los Angeles Area Chamber of Commerce with respect to proposed state legislation affecting the mayor’s authority under the Los Angeles City Charter. Was retained upon recommendation of the mayor’s office to protect mayoral authority under the charter and consistent with chamber view. Successfully negotiated a claim by the Los Angeles City Ethics Commission against an officer of a major corporation. Formation and representation of an association of airline service providers before Los Angeles World Airports. Representation of a major provider of rail services before the Southern California Regional Rail Authority. Representation of a major provider of waste services in connection with a city of Los Angeles RFP process, including litigation analysis on separate matters and general business advice. Advice and counsel to multiple companies with respect to state and local statutory and regulatory matters. Representation of an international rail car builder before the Los Angeles County Metropolitan Transportation Authority. Member, Board of Directors, Vanir Construction Management, Inc. Contributing author, Governing Public Colleges & Universities, Jossey-Bass, c. 1993. The Strategy of Meetings, published by Simon & Schuster (hardback) and by Warner Books (paperback), 1988. The book has been published in five languages. Numerous articles and opinion pieces. Numerous compositions and songs, including “Arlington,” composed for Memorial Day and Veterans Day, and "Fanfare for the Special Olympics" and "The Special Now," performed at the Opening Ceremonies of the 2015 Special Olympics in Los Angeles.